Solar energy is becoming an increasingly more popular choice for both home and business owners in the Salt Lake City area. Those who install solar panels on their home want to make the most of their investment. After all, investing in solar panels is already a great way to save money in the long run, while also offering short-term benefits. One of the best ways to keep an eye on the efficacy of your solar panel array is to set up a solar panel monitoring system. Join Gardner Energy as we explore these useful systems. What Are Solar Panel Monitoring Systems? These clever devices help you to keep track of how your solar panel installation is working. The solar monitoring software offers you insights into how many kilowatt hours of electricity are being produced by your array. Not only does the monitoring system allow you to keep track of when your solar panel system is working well, but it also alerts you to when your system isn’t working at all. Most monitoring systems can direct you to a faulty wire or subsystem. This means that your solar monitoring system can help you get any problems resolved quickly and effectively. 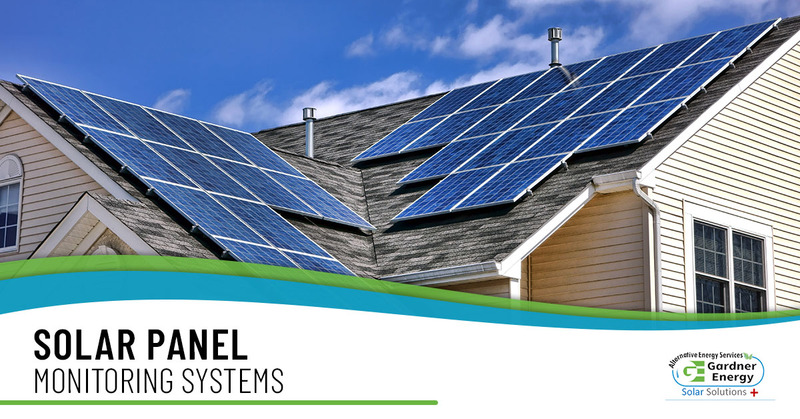 These systems integrate with your existing solar panel installation through the use of a software program. This software helps you to track your day-to-day production of electricity, but also allows you to see the total production over the lifetime of your solar panel array. Many of these monitoring systems include an online portal or mobile app that lets you check this information in real time. Similarly, installing a monitoring system ensures that your solar panel installation experts at Gardner Energy can keep tabs on your systems, and offer preventative maintenance when it’s needed. Which Solar Panel Monitoring Software Should You Use? There is a myriad of software providers for your monitoring system, but we at Gardner Energy are fans of Enlighten monitoring software by Enphase Energy. This software offers an unrivaled amount of information to both you as the owner and us as the installer. Enlighten is always monitoring the performance of every single part of your solar panel installation, including the solar modules and inverters. Since it’s always pulling valuable data from across the array, Enlighten quickly alerts you if there is any dip in performance. It also alerts us too, so we can contact you to set up a regular maintenance call. Solar panel installations are a great way to break your dependency on foreign oil and harmful fossil fuels, and solar panel monitoring systems are a fantastic way to have careful control over your entire array. Gardner Energy offers both commercial and residential solar panel installation to the greater Salt Lake City Area. We maintain all of the latest certifications and licenses so that your installation project is always conducted to our exacting standards. Contact us today to receive your free installation quote!